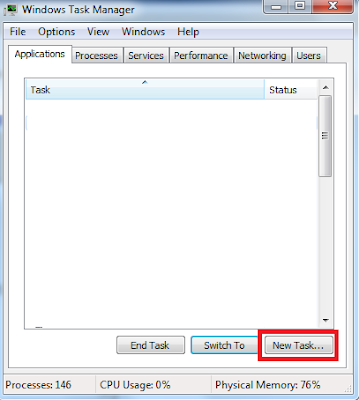 Can't find explorer.exe under Windows Task Manager - Processes ? Explorer.exe not loading after removing Virus or Spyware or Adware ? 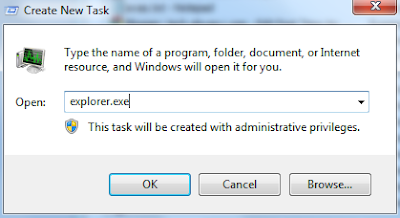 First of all, you need to start explorer.exe, follow these steps. 3. 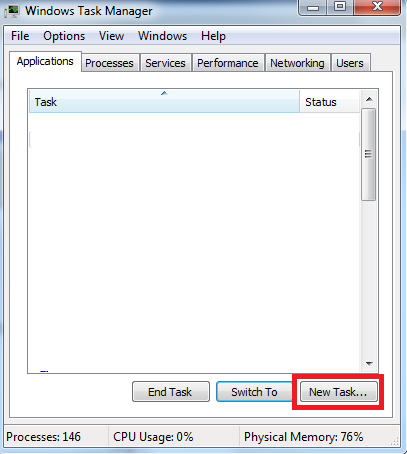 Click "New Task" , as shown in the screenshot . 4. Type "explorer.exe" and press "Ok"
Now explorer.exe will load and you can see your Desktop and all your files . 3. Navigate to "HKEY_LOCAL_MACHINE\SOFTWARE\Microsoft\Windows NT\CurrentVersion\Winlogon"
In the right pane double click "Shell" and remove all strings after "explorer.exe", if exist.